People who grew up watching Back to the Future: Part II are still waiting on hoverboards, flying cars, and those self-lacing shoes. 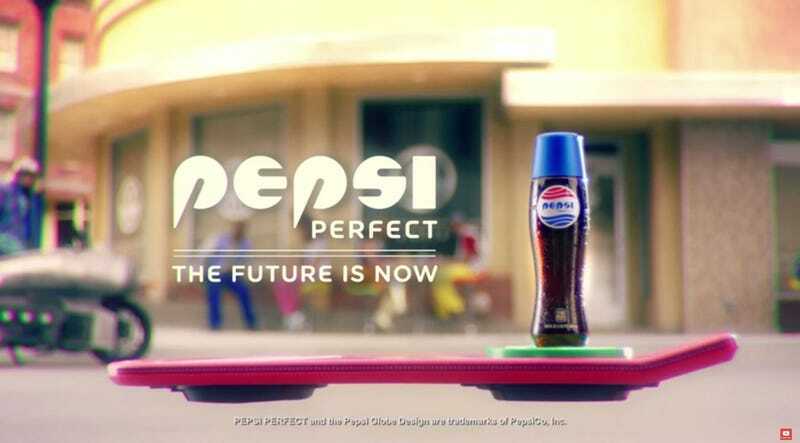 But there is one product that fans of the film will soon be able to buy: Pepsi Perfect. Yes, in the second movie of the trilogy, Marty McFly travels to the futuristic far-off year 2015 — October 21, 2015, to be exact. And all he wants is a Pepsi. 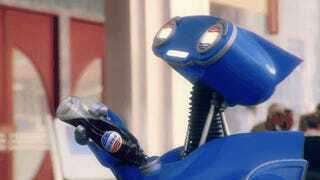 He’s delivered a Pepsi Perfect, a fictional soda. What’s the catch? Well, Pepsi Perfect is going to be sold as a limited edition. Extremely limited. Only 6,500 bottles of the stuff will be made, and they’ll be sold for $20.15 a pop. Oh, and it’s just going to be regular Pepsi in a special bottle. Yep, this Pepsi Perfect isn’t going to taste any different than a regular Pepsi, aside from being made with real sugar. So there’s no word yet on where fans can buy one, but the first people to get a sample will be attendees of New York Comic Con later this week. Pepsi will be distributing [Update: giving away for free!] the first 1,500 bottles to anyone dressed like Marty McFly. With just 6,500 bottles going into production, this is clearly going to be a collector’s item. But by the sound of things, it really is just regular Pepsi in a special bottle, so it’s hard to get too excited. Those of us who grew up on the Back to the Future trilogy certainly expected 2015 to turn out a bit differently. We don’t have hoverboards, (at least not in the way they were depicted in the movies), and we don’t have flying cars. But I guess we now have our Pepsi Perfect — regular Pepsi in a $20 bottle. What a time to be alive, right?